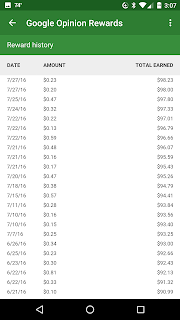 Many people do not seem to be aware that they can get free money, yes free money, to be used on the Google Play Store. Its rather simple really. All you need to do is answer surveys and provide your opinions to Google. 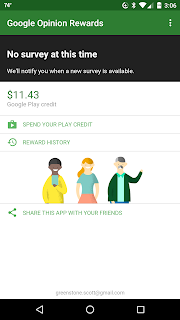 Simply, install the Google Opinion Rewards application on your Android device. Periodically you will be offered up a survey, answer the questions and get the money. 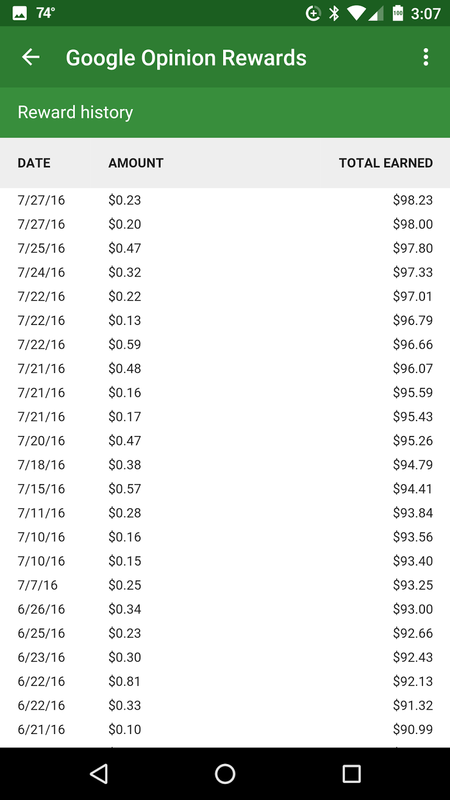 I have seen rewards range from $0.10 all way up to $1.00 and none of the surveys take more than 1 or 2 minutes to complete. These surveys usually seem to be related to places you have recently visited in real life, but every now and then they seem to be completely random. You can always opt not to participate in any survey if you feel its too personal. I have been participating in the Google Opinion Rewards since it launched and I have earned almost $100 for not much effort. All of which I have spent on adding to my movie library. It should be noted that these rewards can only be used on the Play Store and not in the Google Store. Also you cannot convert these rewards into cash. Unfortunately This service is not there in my country..